This Battered Window Boards decoration will give your house the look of boarded windows. 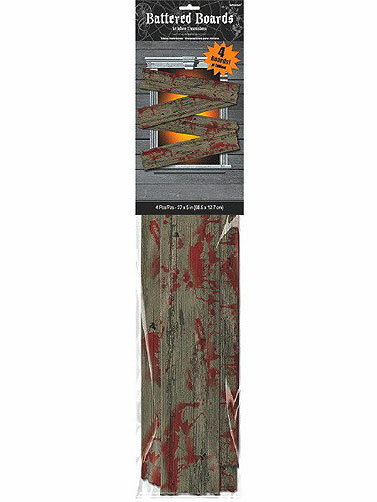 Wood look, lightweight, corrugated plastic boards look as though they are aged and splattered with blood. Hang with double sided tape or sticky tack, not included. Package contains four individual plastic boards that measure 27.5"L x 5.75"W each. 4 Pc.